The simple process of applying mass loaded vinyl over insulation covering pipelines carrying Liquefied Natural Gas (LNG) or Crude Oil has been very successful for acoustic damping. The High-density limp mass vinyl barriers using natural products prevent noise transmission. Their use has increased significantly due to their superior performance alongside their green credentials. One area of concern is there application, not so much of the difficulty, quite the opposite. Insulation installer need extensive training and often have years of experience installing products such as Foamglas®, Rockwool, using sealants and mastics such as Foster®. 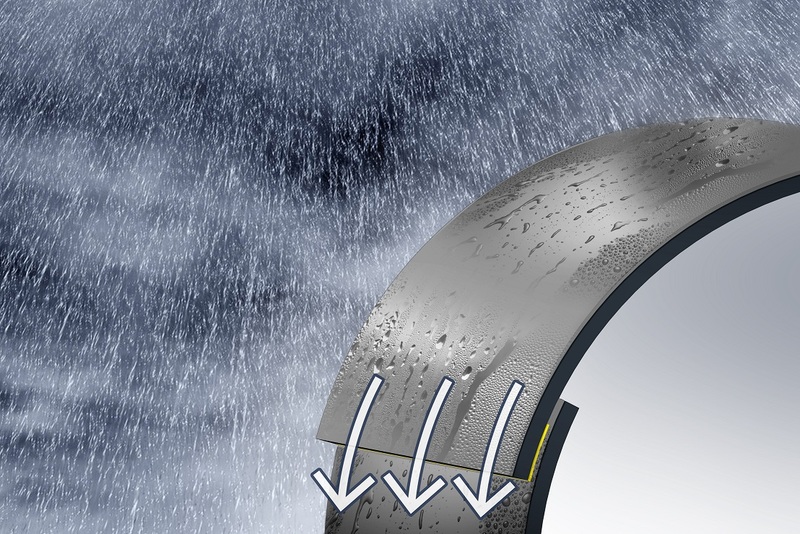 Their roll ensures vapour barriers are sealed in place and most importantly the metal jacketing is installed correctly by expert laggers. When it comes to installing mass loaded vinyl the length is measured from standard rolls, its cut to length with a knife then wrapped over the insulation. The joints are taped or fixed using sealant but only to retain it in place. If the OD’s of the pipe are large the vinyl due to its weight may need stainless steel banding to secure in place. All this takes time but there isn’t the need for a skilled worker for this process, but on site it will be the highly skilled insulation engineer or sheet metal worker who carries out this task. 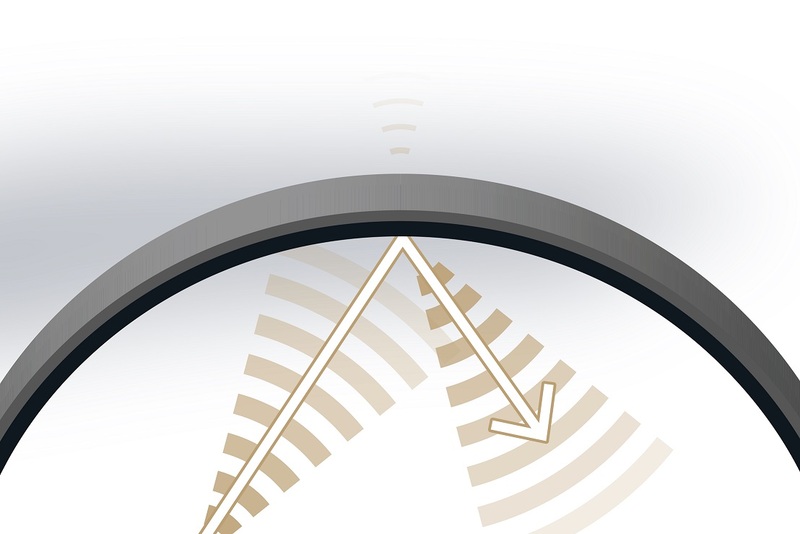 This delays other important work that could be completed and adds significant costs. 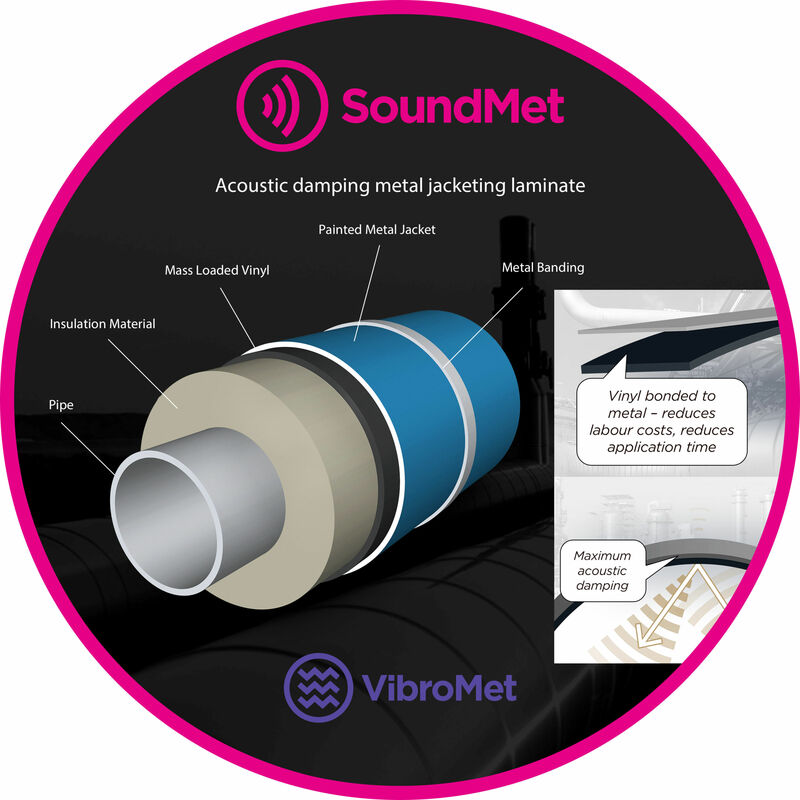 So, here’s the solution – SoundMet®!!! This innovative product combines sheet metal such as stainless steel, Aluminium or Aluminized steel to mass loaded vinyl of the required weight to form an integrated acoustic damping metal laminate. This laminate is rolled into metal jacketing or cladding in the traditional way with no difficulty then fixed using banding as with standard metal. The result is, significant savings in labour time leading to quicker install and lower costs, essential components for any owners or contactors. Acoustic properties - Well in tests carried out at Salford University’s acoustic laboratories the performance was the same except at low frequencies when bonded material significantly outperformed un bonded material. Fixings the joints – In tests carried out at Sheffield Hallam University pull tests indicate the adhesion of the overlap was 15% stronger when the metal is bonded to steel compared to un bonded. Tanks and vertical pipework – well for this we didn’t have to test. Reports from the field tell us that the vinyl can move downwards, the reason for this is simply gravity linked to some expansion on contraction of materials. SoundMet cannot move unless the metal moves so no gaps leading to continuous barrier to sound. Overall SoundMet has many benefits including labour costs, time and most importantly performance. The product can be adapted to meet fire regulations, arctic conditions. 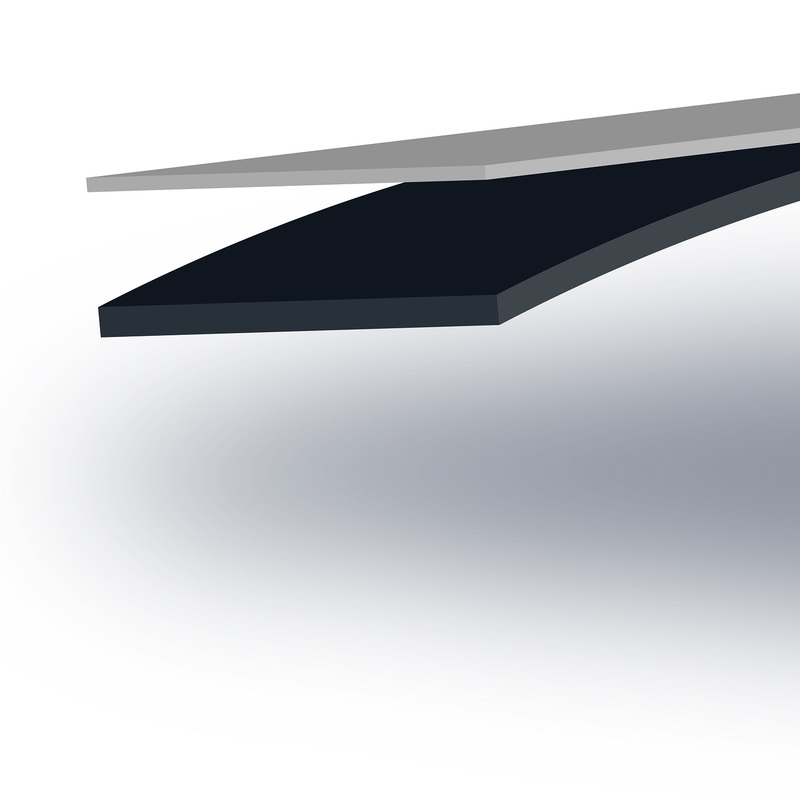 In addition, there are other variations such as our 100% recyclable alternative to Bitumen acoustic insulation VibroMet. With material such as Aluminium new solutions can be created for HVAC ductwork or any other application where weight and acoustic insulation performance of the systems are critical.